What if you could have a direct impact on local healthcare? Or help someone in your community get the medical attention they need? That’s what a donation to Rogue Community Health can do. Offering primary medical and preventive care to Jackson County’s uninsured and underinsured, RCH plays a critical role in our community’s ability to make wellness a possibility for all. Many of our most exciting achievements over the past 45-plus years have been due to the generous support of people like you who want to invest in their community. 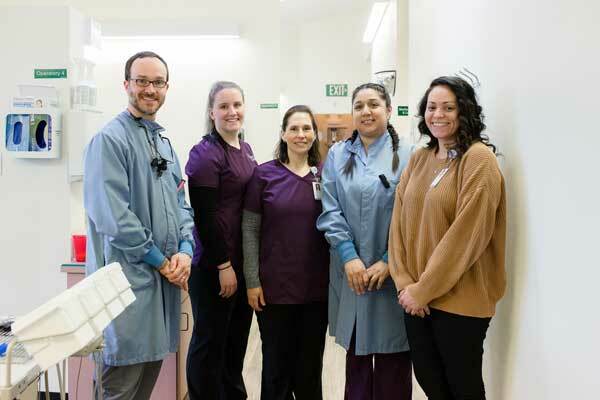 Thanks to our donors, Rogue Community Health, a non-profit 501(c)(3) organization, can continue its work to remove barriers to medical care that many of our neighbors experience. For a firsthand view of our mission in action, we offer tours of our clinic sites. To arrange a tour, or for more information about donating, please call the Rogue Community Health’s Development Office at 541-842-7711. You can make an online donation through our secure access portal. Most major credit cards are accepted. As a nonprofit organization, Rogue Community Health is exempt from federal income taxes under Section 501(c)(3) of the Internal Revenue Code. Your donations to Rogue Community Health are tax-deductible to the extent of the law. Tax ID #23-7366812. Please take a moment to review our Annual Report . Thank you. For more information, please call us at 541-842-7711 or email your questions to: contactus@roguecommunityhealth.org.